For the last few weeks I’ve been working on a tough project. It’s one of those pieces that wants to fight me at every turn and it’s been very frustrating. I thought it might be good to take a short break from the problem child and work on something quick and fun. This is Blooregard Q. Kazoo, Bloo to his friends. He’s my favorite character from Craig McCraken’s Foster’s Home for Imaginary Friends. The Cartoon Network show revolved around one question, what happens to imaginary friends when their kids outgrow them? Well, Foster’s Home was there to collect them and help them find new kids. 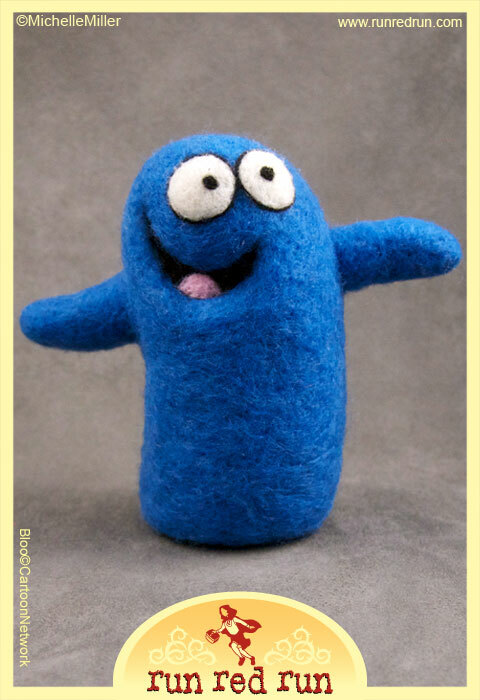 Bloo was, by far, the most imaginative and rambunctious resident at Foster’s. Check out Bloo in action on youtube.